Liz Wiseman is a researcher and executive advisor who teaches leadership to executives around the world. She is the author of New York Times bestseller Multipliers: How the Best Leaders Make Everyone Smarter, The Multiplier Effect: Tapping the Genius Inside Our Schools, and Wall Street Journal bestseller Rookie Smarts: Why Learning Beats Knowing in the New Game of Work. Liz is probably the coolest boss we ever had. 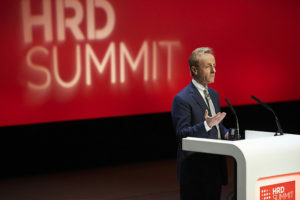 Josh Bersin is a world-respected industry analyst focused on corporate HR, talent management, leadership development, and HR technology. He brings amazing insights and deep passion for the technology, the business, and the future of talent. We have worked with Josh for longer than we care to remember, he's brilliant and passionate and always thought provoking. RedThread Research are a human capital research and advisory firm that listens to you and understands your business. They are experts in talent management, learning, and diversity and inclusion and the technologies that support them. 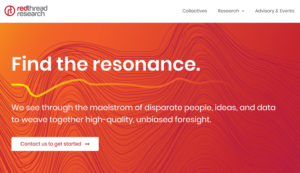 We love that they call themselves 'truth-seekers and storytellers in a world where there’s a dearth of former and much of the latter is sort of $#!%.' We are so down with that! 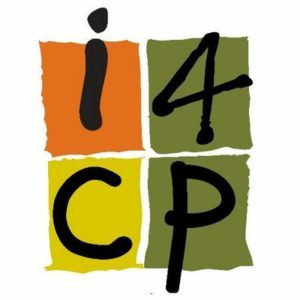 i4cp focuses on next practices in human capital. They are a membership organization based here in Seattle and members get access to research that helps impact on the business today and in the future. Research, peer collaboration, tools, and data, i4CP provides insights that help organizations better anticipate, adapt, and act in a constantly changing business environment. Kevin Oakes and team are consummate connectors of people and ideas and we hear they throw a great party! 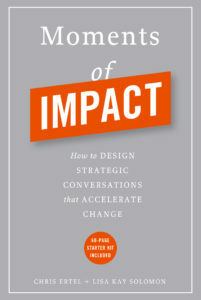 Lisa Kay Solomon is a well-known thought leader in design innovation with a focus on building the leadership skills required to ignite change and create lasting impact. Lisa is Principal Faculty and Managing Director of Transformational Practices at Singularity University and resident at Stanford University d.School. We love her books, her incredible energy and her relentless pursuit of great design and fun collaborations. Mandel is a global communications training and consulting company. They help Fortune 1000 organizations transform their talent into remarkable communicators who inspire others and get results. More importantly the good people at Mandel have done this for a very long time, they operate with deep conviction, peerless expertise, and real humanity. They have helped countless thousands of people become remarkable communicators and better collaborators. In the age of the robots, It don't get more essential than that. Sam herring and the team at Intrepid by VitalSource bring their learning and platform expertise to organizations who want to digitally transform their learning programs to get the highest quality online experiences at speed and scale. These guys care deeply about the learner experience and pioneered the concept of the corporate MOOC with us at Microsoft and then with countless other innovative and business centric learning teams. The NuCamp team are leveraging digital disruption in learning to help hundreds of people get prepared for their dream job and bringing the coding boot-camp experience to the places and people that need them most (up until now provided by a bloated set of 92 vendors to just 13 cities) with a brilliant twist that reduces the price for participants by a stunning factor of 10. Their goal is to being the best of online self study, instructor/coaching, and the power of a cohort together for a cost effective and agile bootcamp. 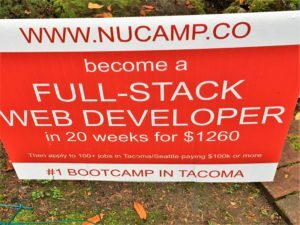 Watch this model grow like crazy or better still refer someone who wants to jumpstart a tech career. Here at LFG we are natural born collaborators and we love to mix it up. If you'd like to join the LFG Network or just want to share your workplace learning technology or service drop us a line, we'd love to learn more.